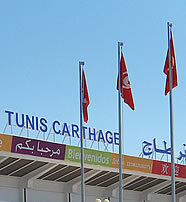 Tunis Airport is the premier airport of Tunisia and is also referred to as Carthage International Airport. Tunis Airport acts as the base of operation for four airlines namely Nouvelair Tunisia, Tunisair, Tunisavia and Sevenair. Being the premier airport in the country, Tunis Airport serves more than a million passengers a year. The airport is conveniently located four miles from Tunis. It is also the only airport which is located near the famous Carthage City, a favourite tourist site for history lovers. Tunis Airport boasts of top notch facilities which are constantly serviced and upgraded to meet the needs of the ever growing number of passengers. These facilities enable passengers to have a holistic experience while using the airport. The facilities available at the airport include ATMs, currency exchange offices which operate 24 hours to serve the needs of arrivals and departures, a post office at departures, and mobile hire services. Tunis Airport also boasts several snack bars and restaurants which serve various Tunisian delicacies. Also available at the airport are a couple of shops which sell luxury goods as well as local produce. A small tourist office is also available and is located on the first floor at departures. At arrivals you will also find several hairdressers. A spacious parking lot is also available with around 2500 spaces and is located in front of the terminal building. There are several international hotels in close proximity to the airport and transportation from the airport to the hotels and the city is readily available. There are several buses and airport coaches which connect the airport with Tunis City. 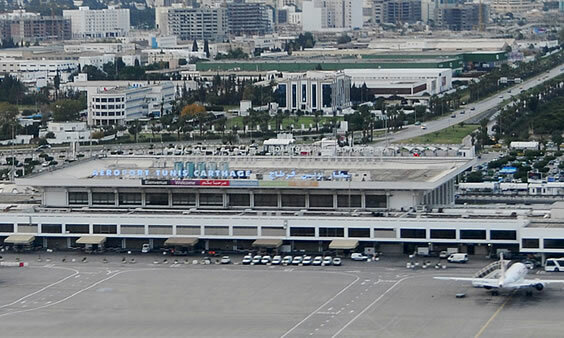 Tunis Airport taxis are also available and the taxi ranks are conveniently located near the airport terminals. Taxis provide a rather convenient form of transport to and from the airport to the hotels. Also available at the airport are several car rental companies including Alamo, Avis, Hertz, Europcar and Six. These rental services can be conveniently be accessed through prior online booking.